It will also be seven times more powerful. 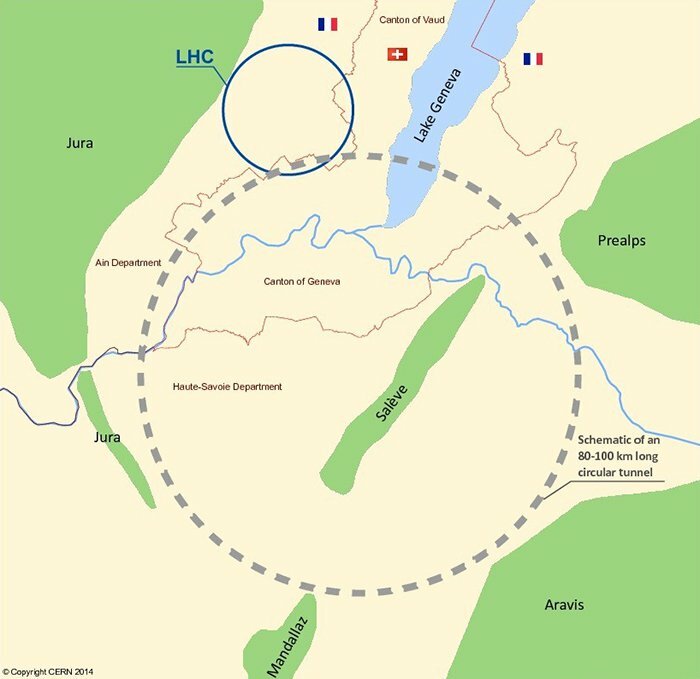 Where the LHC’s looping tunnel stretches for 27 kilometres (nearly 17 miles), the FCC’s circuit would measure between 80-100 kilometres (50-62 miles), and it’ll be located just down the road from its predecessor on the France-Switzerland border. We’re looking forward to what the LHC and its successor are going to find over the next few decades, and you can keep up to date with the latest developments at the official Future Circular Collider Study website. Let’s just hope when the FCC does arrive, it’s weasel-proof.